Ricky Gervais to host the Golden Globe Awards! It has just been announced that Ricky Gervais will be hosting the Golden Globe Awards in January. This is going to be great. If you haven’t heard of Ricky Gervais, or you missed him at the Emmy’s last year, when he did a stint with Steve Carrell and took his Emmy back, take a look at this clip. Everything’s Amazing – Nobody’s Happy! 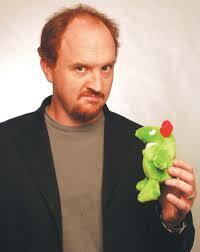 The guy’s name is Louis CK, who is being interviewed by Conan O’Brien. This is an amazing clip that I believe will give us a wake up call about how much we take for granted. My Favorite Music Right Now. I have acquired quite a few cd’s recently, old and new. I have to tell you about two of my favorites. I was just given a copy of Roseanne Cash’s new cd ‘The List’. People Magazine calls this cd ‘a loving tribute – Cash puts her own spin on these tunes. Two of my favorite tracks are Sea of Heartbreak with Bruce Springsteen joining her and Heartaches by the Number, where she is joined by Elvis Costello. Excellent. 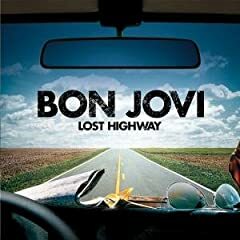 And I know I am probably one of the last people to buy Lost Highway by Bon Jovi, but better late than ever. Every single song on this cd could be a #1 Hit for this group. It is one of the few cd’s that every single song is good, including the collaborations with Lee Anne Rimes and Big and Rich. I have been playing these cd’s over and over. Rick Mercer Rants on the Swine Flu! This was too funny not to share! A friend sent this to me, it is Rick Mercer Rant on the Swine Flu! 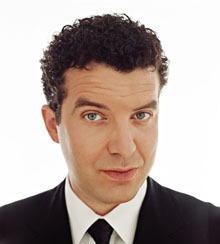 For those of you who don’t know Rick Mercer, he is is a Canadian Comedian , Television Personality, political satirist and a blogger. He also has his own television show on CBC called The Rick Mercer Report. Fabulously witty and smart, I hope you enjoy. Barack Obama Wins the Nobel Peace Prize! Here is why I think President Barack Obama deserves the Nobel Peace Prize. 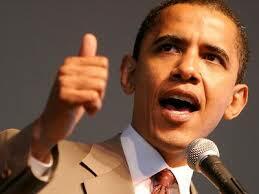 – Imagine how many children he inspired by becoming the first African American man ever elected President. The words every parent uses ‘You can be anything you want to be’ had new meaning for children everywhere. 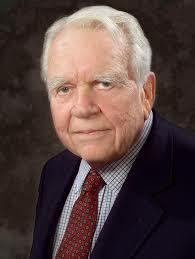 I have read of instances where children have made the honor roll at school and credited Barack Obama. – Imagine how many adults he has inspired that all things are possible, and that dreams can come true. Bono, of the group U2, is a contributor as a columnist to the New York Times. This is what he wrote yesterday. These are just a few of the reasons I believe President Obama deserves the Nobel Peace Prize. Inspiration, Hope, and Dreams Coming True. As I grow in age, I value women over 40 most of all. Here are just a few reasons why: A woman over 40 will never wake you in the middle of the night and ask, ‘What are you thinking?’ She doesn’t care what you think. If a woman over 40 doesn’t want to watch the game, she doesn’t sit around whining about it. She does something she wants to do, and it’s usually more interesting. Women over 40 are dignified. They seldom have a screaming match with you at the opera or in the middle of an expensive restaurant. Of course, if you deserve it, they won’t hesitate to shoot you if they think they can get away with it. Older women are generous with praise, often undeserved. They know what it’s like to be unappreciated. Women get psychic as they age. You never have to confess your sins to a woman over 40. Once you get past a wrinkle or two, a woman over 40 is far sexier than her younger counterpart. Older women are forthright and honest. They’ll tell you right off if you are a jerk if you are acting like one. You don’t ever have to wonder where you stand with her. Yes, we praise women over 40 for a multitude of reasons. Unfortunately, it’s not reciprocal. For every stunning, smart, well-coiffed, hot woman over 40, there is a bald, paunchy relic in yellow pants making a fool of himself with some 22-year old waitress. Ladies, I apologize. For all those men who say, ‘Why buy the cow when you can get the milk for free?’, here’s an update for you. Nowadays 80% of women are against marriage. Why? Because women realize it’s not worth buying an entire pig just to get a little sausage!